If you’re stuck in smaller rooms for now, there are a ton of interior design tricks to help make the space look bigger. Use these tips to expand your space. Making the most of your space is the goal of every homeowner. In cases of a small house or a small room, it can be especially challenging to both use, and decorate a small space, without feeling like you live in a hole in the wall. 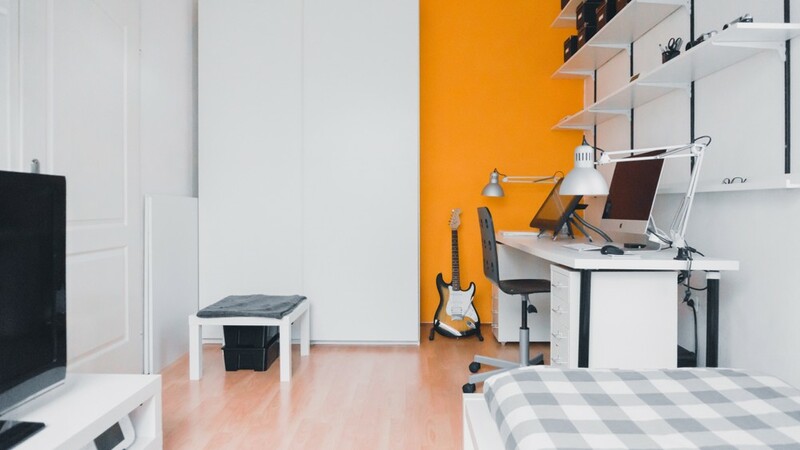 Through smart use of light and color, as well as helpful furniture and decor, you can transform any cramped or stuffy space into something that feels a bit more spacious and airy. Make use of under the bed storage with either drawers or bins to hide clutter. Don't jam pack shelves and tables with items. Giving them space to breathe will make the area feel less cluttered. Utilize the cantaloupe rule: decorative accents that are smaller than a cantaloupe will crowd a space. Go with fewer, but larger decorations. Avoid overcrowding walls with artwork. Concentrate your art on one or two walls. Decluttering our homes can be a challenge. We all have trinkets we like, or things we've collected over time, that remind us of places or friends and family. It's normal to want to display all these things in our home, but it's easy to let them overtake our actual furniture or shelves and dominate them, rather than compliment them. Be more strict with your choices and let those really special pieces shine. If you do have multiple items on a shelf that have to stay, try to group them by color, creating a cohesiveness in the group. Display the pieces as a unit rather than a mishmash of singular items. Similarly, let items have more space to themselves on a shelf. It can quickly look very busy and cluttered when too many items occupy a small space; give them room to shine on their own. Finally, use the cantaloupe rule—decorative accents that are smaller than a cantaloupe will crowd a shelf or a room easily. Use fewer, larger decorations to prevent having the space look jam packed. Walls can become cluttered too, quite easily in fact. While a curated and thoughtful gallery wall is a nice edition to the living room; it can quickly feel overbearing if the space is not well suited to accommodate several picture frames. It can sometimes be best to use a single, larger piece to make a statement, rather than a peppering of multiple smaller ones. It may also be beneficial to relegate a room's artwork to one or two walls, rather than distributed evenly throughout. Some of these strategies will depend on the type and shape of your specific room, but they're good to keep in mind when hanging up artwork. ​​​​Rely on natural - keep window shades open to let in natural light. Get a visually interesting ceiling light fixture to create a focal point. Light may seem like an obvious need for our homes, but sometimes we just don’t get exactly what we’re looking for. 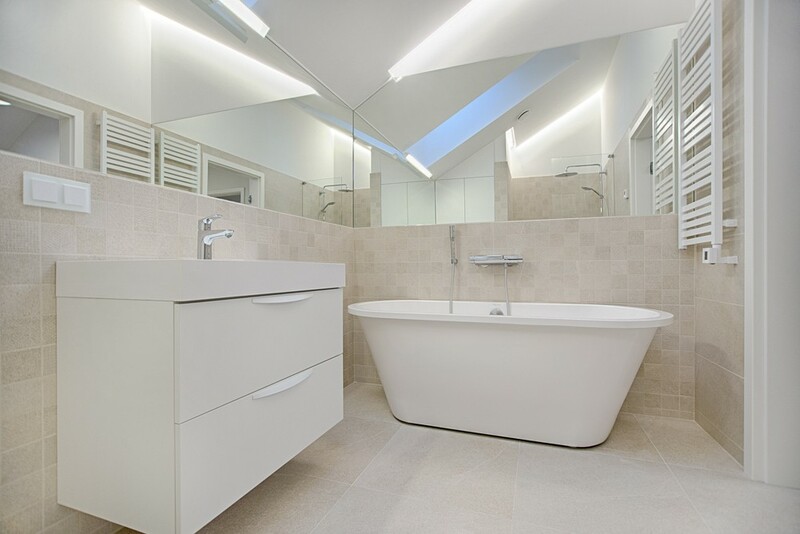 Sometimes a space may have a small amount of natural light, so the use of lamps is incredibly important. Other times, the situating of our light fixtures just isn’t ideal for our space. Whatever the issue may be, light is important and using it in effective ways helps keep a space from feeling constricting or cavernous. If your space allows it, rely more on natural light. Even something as simple as keeping the blinds or the shades open and letting in the sunlight will make a room feel more open and inviting. Another way to help the flow of a room is to change up the lighting situation. If your room features a single, larger fixture, consider using several smaller lighting elements. Not only will this more evenly coat the room in light, but it allows for more visual variety and will let the eye travel around the room naturally, instead of focusing on one single, central location. While less so about light per se, and more about the fixture, consider a visually interesting ceiling light fixture. I know we just went over using a variety of multiple light sources, but the use of a prominent main fixture is a way to add some style and intrigue along with practicality. This isn’t the course of action to pursue for every room type obviously, but perhaps for a casual dining area, featuring a unique light or chandelier above the table will add a unique focal point and offer more light to a space. Incorporating a ceiling light with interesting details will draw the eye upward and add height to the room. Consider having drapes that match your walls color to create uniformity. Alternatively, opt for no drapes and open the space up. Use lighter, neutral colors. Or go with something bright. Paint your ceilings in a brighter color to draw the eye upward. Organize items on your shelves by color, creating more cohesiveness. Selecting the right color for a room is important to how that space is perceived. 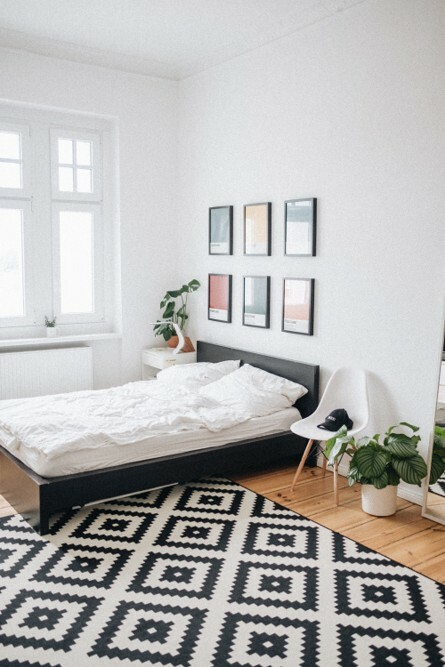 While darker colors can evoke feelings of comfort and warmth, in some small rooms it may have an adverse effect, making the space feel more claustrophobic and enclosed. 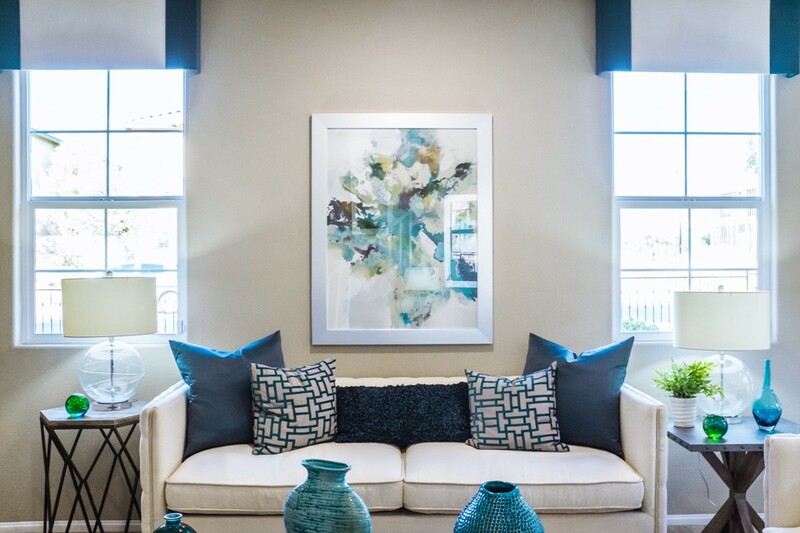 Lighter, brighter colors do well in a small space, creating an airy and open feeling. With brighter walls, light is reflected, making the space seem roomier. While clean colors can help, convoluting a space with too many colors or patterns can make things feel sporadic, as there's simply too many colors existing so close to one another. Choose a theme or color and stick closely to it. Wall paint isn't the only way to make good use of a space's colors. Consider painting your ceiling a unique or lighter color to draw the eye upward, making the space feel more open. Trim and molding is also a smart way to add some brightness through color. If your walls are darker, use of a white or brighter shade of trim will add some definition and lightness to the space. Similarly, to eliminate any lines or segmentation of the room, consider matching the paint of the trim to the walls. Lastly, and only if applicable, your shelves can get a remix by grouping their contents according to color. This gives a better sense of clarity for the overall shelving unit as grouping up colors is more pleasing to the eye. Use chairs or sofas that are on raised legs; less bulk means more visible space. Rely on multi-function furniture like ottomans as coffee tables as well as extra seating; or coffee tables that have extra storage within or under them. If applicable, use floor-to-ceiling or wall-to-wall bookcases, as they can mask how high the ceilings look. Not to mention, they add a lot of beneficial storage. Go with a dining table that has drop leaves to regain space when not in use. Finding furniture that we like for our space is one thing, but it's another to find appealing furniture that is also highly functional or works double duty to store all our stuff. 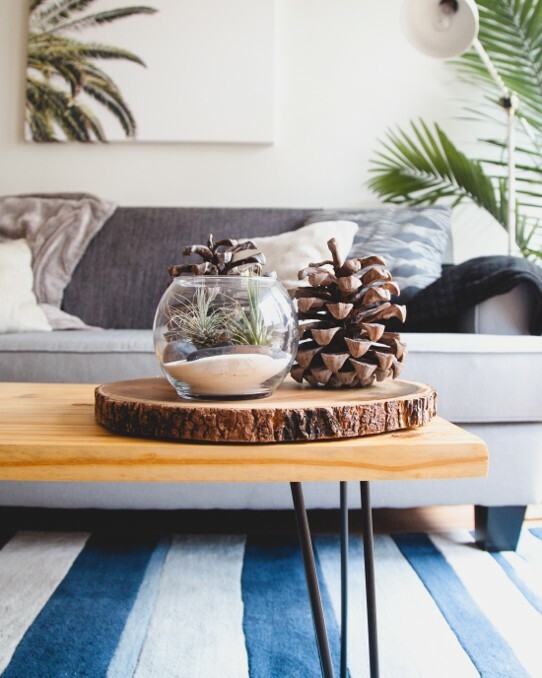 It's beneficial to find multifunctional furniture for smaller rooms, reducing the need to introduce more furniture, thereby decluttering your living space. A good example of this is an ottoman. An ottoman can be used as a place for your feet while reclining, an additional casual seat when your couch is full up, and even as a mini coffee table or place to eat- though you may need a tray to accomplish that last one! This hinges on the ottoman's material and its size, of course, but finding multifunctional furniture like this is highly useful. That's potentially 3 roles, all handled by 1 ottoman! Another example of smart furniture would be a dining table with drop leaves, or an extendable dining table. When not in use, it can be shorter and kept out of the way. When hosting company, that same table can move a bit further away from any walls or furniture, be extended or opened, and used comfortably with ample space! For other rooms, where items like chairs or shelving are required, there are many smart options to go with. Chairs that are raised and have skinny legs allow you to see under them and visually take up less space in a room. This helps things feel more open and less cluttered. For shelves, clever use of either tall or long shelving units can help augment the view of a room, by masking how high the ceilings are, in the case of floor-to-ceiling shelves; or amplify the perceived length of a room, in the case of wall-to-wall shelves. Go vertical - When putting pictures on the wall, leave space above them to give the illusion of taller walls. Go horizontal - If you have shelves or storage, keep them closer to the ceiling to draw the eye upwards and along the perimeter of the room. Imagine breaking your walls into thirds, rather than halves. Any hanging artwork should stick closer to the lower third and any shelves should be in the upper third. Don't place furniture directly up against the walls—give them some space to breathe. Even allowing small amounts of surrounding space help a room to feel larger. We tend to view the available space on the walls in our homes as split between lower and upper—but we should view that space in thirds. Try to avoid placing things in that middle space. When hanging pictures on the wall, try and keep them lower, in an effort to make the space above them feel longer and taller. In the case of shelving, mount them higher, to draw the eye upward and still leave an expanse of openness on the wall. As for furniture, when we're tackling decorating a small room, our instinct is to place all the furniture on the outskirts of the room, potentially right up against the walls, to maximize our floor space. Depending on the furniture and the room, this can have an adverse effect, by making things feel like they're being mashed right up to the walls. It's best to let the furniture breathe a bit and give them space. You can create a little more roominess in a space when furniture isn't bumping into one another or the walls. Similarly, placing furniture at an angle or allowing furniture to have open space around it will make the space appear larger as well. Utilize mirrors on darker walls or spaces that don't get much natural light. Visually extend narrow or short rooms with a well placed mirror. Mirror different elements wisely: reflect a window, 'extend' a hallway, or double a piece of artwork or unique fixture. All of these options will lend space to your room. Putting mirrors on this list almost feels like cheating, as they more or less just augment the existing pros on this list. Mirrors can be used to combat an overly busy room with lots of decorative elements by reflecting a less noisy piece of the room or a window; balancing the busy with the sedate. They reflect light, whether it be natural or from a bulb, and help to lighten the space. You can place them in narrow hallways to make them appear longer, or put them like tile on a wall to boost the proportions of a smaller room. However you choose to mix them in, they can add new elements and alter the light, space, and feel of a room. All homes and all spaces are different, but aspects of these tips can help in any room. When seeking help to open up a smaller space, consider what elements can be added or taken away, and what can be altered or swapped. Remember that light and light colors are your friends and that there’s nothing more handy than functional furniture that can also hide away some of your excess clutter. Allow your furniture and fixtures to do the work for you and make your eyes perceive the space as larger than it is. Images used with permission, courtesy of www.unsplash.com & www.pexels.com.